In addition to Mr. Russ’ keynote address, Joseph’s Home will present its Community Partnership Award to Catholic Charities and share stories of men whose lives have been changed at Joseph’s Home. The benefit luncheon is open to the public. Tickets begin at $50 and are available for purchase at josephshome.com. Sponsorship opportunities begin at $500 and are also available for purchase at josephshome.com. When: Thursday, June 27 at 11:30 a.m.
For more information about Joseph’s Home or the benefit luncheon, contact Joseph’s Home Executive Director Georgette Jackson by email at [email protected] or by phone at 216. 685.1551. Joseph’s Home, a ministry of the Sisters of Charity Health System, provides a nurturing, caring environment for men without resources who have acute medical needs, helping them heal and achieve independence. 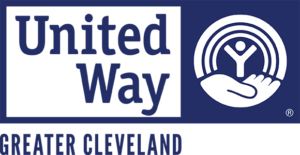 It is the only Northeast Ohio organization with the sole mission of helping severely ill homeless men recover their health and stabilize their lives. When Hawken School students offered to paint a mural at Joseph’s Home, someone had to decide what they would paint. The students turned to the residents themselves. At a brainstorming meeting in early spring, the residents requested a floral theme. Thinking of themselves as seeds, they suggested that the flowers represent the growth and blossoming that happens in them during their time at Joseph’s Home. Students from Hawken School and Chagrin Falls Park Community Center completed the painting over a period of several weeks. They were led by Hawken teacher Jack Breisch and his wife Mary Ann Breisch, who is a professional artist and education director at the community center. The mural has significantly brightened the Joseph’s Home entryway. Joseph’s Home thanks Jack and Mary Ann Breisch and all the students who contributed to the mural project. Their painting is a constant reminder of the beauty that results when we find the right place to grow. Pictured from left to right: Chagrin Falls Park Community Center Education Director Mary Ann Breisch, Chagrin Falls Park Community Center student Deameon Stewart, Chagrin Falls Park Community Center CAAP Coordinator Aaron Cephus and Jack Breisch.